~~I LOVE this button. 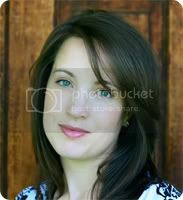 In fact I just love Ali Edwards. She has such a great attitude about creativity and life. The button and her other cool stuff can be found Here. ~~Embrace imperfection. Hmmm. So easy to say and so hard to do. At least for me it is. I have been a perfectionist since I was a little girl. Now, this only applies to myself. I can be kind and understanding of other people's imperfections, but not my own. Why is that? ~~Perfection is a big enemy of focus. I can get so busy worrying about the little things that I miss the big picture. I have been working a lot on focus. On making goals and keeping that "big picture" in mind. ~~Perfectionism is what has kept me from my art for so long. Yes, having another baby did play a part in that, but I think that after a while it became a good excuse to avoid my fear. I don't understand where the fear came from. I love art and creating. Being creative always makes me feel close to The Creator. But my fears of messing up, being judged, not being perfect enough just seemed to overwhelm the joy. ~~This year I have decided that I can no longer let fear or perfectionism hold me back in my life. Life is too short, too precious. I have started to see a strong love of art and creating in both of my girls and it truly thrills me. When I see the sheer joy Sierra has when she draws, it makes me remember that feeling. I want to be a good example to them of how to live a life of creativity, joy and thankfulness-not fear. ~~A verse that I love is 2 Timothy 1:7 For God hath not given us the spirit of fear; but of power, and of love, and of a sound mind. Fear doesn't come from God. I must remember that next time I am feeling fearful. 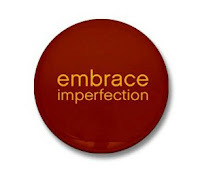 ~~So today I will choose to embrace imperfection. To live with thankfulness and joy. I won't get so worried about crumbs on the carpet or smudges on the wall, but will instead take time to enjoy and play with my little crumb-makers. After all, they will never be this young again. And neither will I.